Half of the public sector ICT projects end up in problems. 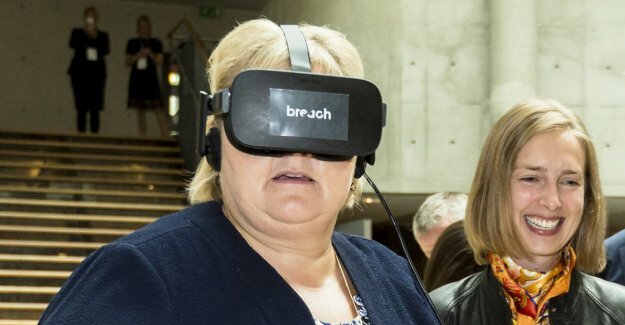 Nevertheless, Norway according to prime minister Erna Solberg to become the world's best country to adopt digital solutions. In order to realise the ambitions she has appointed Nikolai Astrup to digitaliseringsminister. Christian H. Bjerke is director of innovation at Simula Research Laboratory. He has a master's degree in administration and political science from the University of bergen, has previously worked in the Norwegian research Council and has held several positions within the kunnskapsfeltet. It is a wise grip. Successful digitization of the society is a key factor to increase productivity and deliver better public services. It is written page up and down about the possibilities that lie in the digitization, robotisering and machine learning. And buzz-words loose in this industry. Astrups biggest challenge is not, however, to get the state to take in use the latest and most advanced technology, but to implement fundamental reforms of the way the public captures and purchasing ICT systems. The public is going to be a very poor buyer of ICT solutions. For example, there came in the fall out that Health South-East has used 6,2 billion on ICT without that you still can see some documented effects. Riksrevisor Per-Kristian Foss, said to NTB that the projects "contains many delays, cost overruns and unsound investments"
This is, unfortunately, is symptomatic of how public agencies do not have the ability or expertise to carry out the necessary digitaliseringsprosjekter. Research conducted at Simula further shows that the major ICT projects are 2-3 times as likely to fail. 20 percent of all public ICT projects have a kostnadsprekk that more than doubles the cost of the project. The society incur losses in the milliardklassen each and every year because of the public's lack of ability and knowledge about procurement of ICT. There are several reasons for this, but let me highlight two common causes. First, the public low innkjøperkompetanse and it is, therefore, a number of examples that you choose solutions that are directly unsuitable for the purpose. Second, it uses the public often fixed-price contracts that are very rigid, and such contracts have 14 (!) times higher probability to fail than more flexible forms of contract. Inside most policy areas, it is often so that it to solve samfunnsutfordringer is synonymous with increased public spending. This is the mindset must Astrup as soon as put down. the Size of the ICT-investments a dead end. It is far more interesting that the larger the public ICT projects are, the worse they are to deliver the benefit. Astrup should therefore turn the logic he knows from his time as bistandsminister on the head: in this field are the best projects are small and agile. Seen from a statsbudsjettperspektiv, it is quite kontraintuitivt. But the best investments are therefore often the smallest and cheapest. Digitalization is one of the most important thing we do to realize the required productivity growth in the community, and there is research that indicates that as much as fifty per cent of the growth in productivity in recent years is thanks to the digitization. Astrup have to set a big task in front of him, he just need to get the public to choose a number of good projects. Our new digitaliseringsminister is certainly a popular man in the Ministry when he, as the government's sole member, is not going to ask for more money from the state budget.